Islamic architecture is not just about style and form; it is also an expression of the people and their culture. Although Islamic architecture has always had a profound effect on people, in recent times, it is gaining even more popularity due to the exquisite designs and ethnic features it possesses. There are three kinds of Islamic architecture; religious (mosques), secular (buildings and palaces), and domestic (homes). The birth of Islamic art and architecture began in the 7th century in Saudi Arabia. There is no specific definition of Islamic architecture because it could refer to any architecture which is built for religious intents, like mosques, or those which are built in Islamic countries. Although Islamic architecture can be found in many different countries and cultures, it is one unified body of architectural style. For example, Egyptian and Spanish influences gave birth to different styles, but they are both considered as Islamic architecture. Interesting enough, the iconic courtyards and hypostyle halls have always been a trademark feature of Islamic architecture. Undeniably, the earliest Muslim rulers play a huge role in the spread of Islamic architecture across the world. They considered it their duty to have such buildings constructed in the lands they ruled. The purpose was to represent the dominance and majesty of Islam. One unique fact about Islamic art and architecture is the complete absence of figures, sculptures and other depictions of animals and humans. You will never find statues or pictorial ornamentations in authentic Islamic art and architecture. Anything that could be mistaken for idols and idolatry are absent in order to not go against the teachings of The Holy Qur’an. While paintings and sculptures form the zenith of artistic representation in Western cultures, in Islamic regions, decorative arts have performed this function throughout history. Another important feature of earliest Islamic art and architecture is the anonymity of the artists and architects. The Nassif House in Balad, built by the architect Hassan Fathy, is an example of the revival of Arabic-Islamic architecture in modern times. When it was built over 100 years ago, it represented the value of tradition in a world that was very quickly embracing international and modern styles of architecture. Some features which the Nassif House reinforced are the domes, wooden-lattice windows (roshans), enclosed courtyards and fountains. 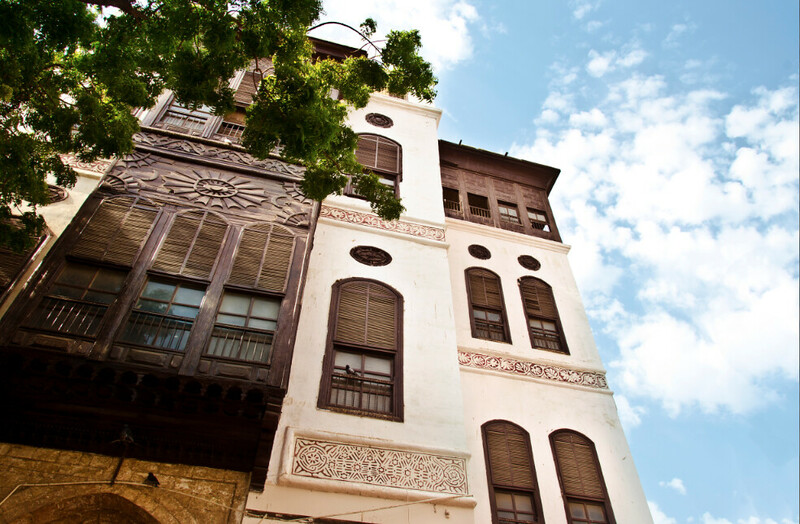 If you’re interested in Islamic art and architecture, you should definitely pay a visit to the Historic District in Balad, which is considered one the best preserved examples of Islamic architecture in the region.